Have been travelling where this is unaccessible for some reason, so there is going to be a bit of a blast now as I catch up with posting a bunch of things that were recently published in other places. First up, a longer article for Homeland Security Today magazine from their October edition, teeing up the current state of terrorism and other problems in the UK in the run up to next year’s Olympics in London. A longer piece next year focusing on that is in the works. Just when it seemed the jihadist threat had faded, British authorities are facing challenges from both old and new sources. But it was not an organized terrorist act that would rock Britain this summer. On Aug. 4, in the Tottenham neighborhood of north London, police shot Mark Duggan, 29, an alleged gangster and drug dealer, when they attempted to arrest him. Police said he was resisting arrest, fired first and was killed in the exchange. The next evening crowds from the African and Caribbean communities in North London gathered to protest what they saw as a racially motivated shooting and general police persecution of local youth. However, some violent elements chose to hijack the peaceful protest and it rapidly raced out of control. It was a stunning turn of events for a country that thought it had its threats under control and could even relax—even as it geared up security for the July 2012 Olympic Games. Driven by crowds of marauding youths in London, then in Manchester, Birmingham, Bristol and Liverpool, the riots quickly escalated into mass-scale looting and burglary with police seemingly helpless to stop them. With costs in London alone estimated to be about £200 million ($330 million) and thousands arrested for their involvement, the rioting cast a shadow on the country as it prepared for the games. The Olympics have long been identified as a potential terrorist target. As Jonathan Evans, director general of MI5, put it to the parliamentary committee tasked with oversight of the security services, “The eyes of the world will be on London during the Olympics…[and] those eyes will include some malign ones that will see an opportunity to gain notoriety and to inflict damage.” But the riots showed that it was not only terrorist threats that were a potential spoiler. At press time, it remained unclear what exactly sparked the riots. Unsurprisingly, politicians tended to cast blame as it suited their political constituencies. Prime Minister David Cameron deployed a stern conservative response highlighting how “broken families” were to blame and that there was a “moral collapse” going on in the country. This reflected a line taken by Home Secretary Theresa May in the immediate wake of the riots when she referred to the rioting as “looting and thuggery” and promised a firm police response. Opposition Labour leader Ed Miliband, on the other hand, hinted that poverty likely played a role and that the excessive greed shown by bankers during the financial crisis fed the public rage that erupted so violently in early August. This echoed Labour’s London mayoral candidate (and former mayor) Ken Livingstone’s repeated claims on television as the riots took place that the austerity package passed by the government and the lack of job creation underlaid the troubles. But while there was a lack of clarity about what caused the riots, it was clear that British police failed to maintain order in the capital city for considerable periods of time. As rioting spread beyond London to Birmingham, Manchester and other major cities, people started doubting the government’s capacity to maintain public order. After the initial evening’s chaos in London, police took a heavy hand. The Metropolitan Police force flooded the streets with an additional 10,000 officers. Auxiliary officers were called in to support full-time staff and were asked to pull 12-hour, all-night shifts. Once the streets were reclaimed, the next move was to release thousands of still photos from closed circuit television cameras in city centers, asking the public to identify individual rioters. Nevertheless, questions were asked about why things got so out of hand in the first place. One suggested reason was that the police had been distracted by the recent loss of a number of senior leaders in a tabloid newspaper phone hacking and bribery scandal. Acting police head Tim Goodwin reassured the public that police had the situation under control, but politicians concluded that not enough was being done and asked Bill Bratton, former head of both the New York and Los Angeles police departments, to come and provide his advice. Meanwhile, former London Police Chief and current mayoral candidate Brian Paddick argued that Bratton’s hard-line approach was unlikely to work in the United Kingdom and may contravene the European Court of Human Rights. Instead, Paddick advocated a more holistic approach to policing in the UK. Underpinning all of this was a need “to give everyone enough of a stake in society that they feel they want to work within its norms and values … and a belief that the police can and will protect them,” said Paddick in an interview on CNN. But overall, the general sense in London was that this spasm of violence was largely beyond comprehension. As reports came in of schoolteachers and affluent residents among those convicted for involvement in the rioting, the economic rationales became further confused. Londoners interviewed byHomeland Security Today varied in apportioning blame, with most calling it criminal youth taking advantage of a chaotic situation, while others pointed out how much more dramatic events were on television than in real life. What was clear, however, was there had been a dramatic loss of control by Britain’s police services—something they compensated for during the August Notting Hill carnival in central London. The annual festival has been a target for troublemakers in the past, but this time police arrived in heavy numbers in a show of strength—deploying as many officers as they did in the wake of the rioting and forcing the event to close an hour early. Security services felt on much surer ground when looking at the terrorist threat from Islamist extremists. For all the disorder of the riots, the government’s basic assessment of the jihadist terrorist threat did not change. On July 12, the Home Office issued CONTEST, its third Counterterrorism Strategy. But at the same time, the threat has fragmented in a variety of different directions. Heightened threats emanate from al Qaeda affiliates globally and from Northern Irish dissident groups, as documented both by CONTEST and Parliament’s Intelligence and Security Committee (ISC), which oversees Britain’s intelligence community. 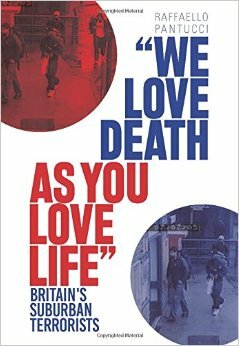 CONTEST was the culmination of a series of reviews of British counterterrorism strategy. In the weeks prior to its publication, the government published its review of the key “prevent” aspect of the strategy—the part that attempts to stop individuals from choosing a path of terrorism. It concluded that the strategy needed to be redefined. This came in the wake of the coroner’s inquest into the July 7, 2005, bombings, which absolved the security services of blame for not preventing them, but also showed that more could have been done. The lowering of the general threat assessment by CONTEST and the Home Office was not surprising. Counterterrorism experts and watchers had long noted that the foreign threat in the United Kingdom seemed to have gone down. Security agencies remained on high alert, as highlighted in February 2011 when MI5 Director Evans stated “the amount of surveillance that we undertook with police colleagues [in the past year] was the highest at any point that we have ever had to put out to the streets,” but this translated to fewer plots coming to fruition and a general sense that the threat was in hand. For example, in a plot currently working its way through the courts, a member of a network planning a series of attacks in London is believed to have been radicalized in prison. Afghan security services, meanwhile, were shocked to discover that a man responsible for an April suicide bombing of the defense ministry in Kabul was radicalized in a British prison. In the next few years a number of other individuals implicated in serious terrorist plots will be released onto the streets. Additionally, there has been a noticeable increase in Northern-Irish-related terrorism. According to CONTEST, in 2009 there were 22 attacks. In 2010 there were 40, and this year so far there have been 16, with “many more successfully disrupted.” This comes alongside a spike in rioting in the region, most recently in Portadown, County Armagh, that resulted in a series of arrests and numerous police and civilian injuries. Among them, Al Shabaab in Somalia has attracted Western recruits, Brandon said, while instability continues to mount in Yemen, which has a long-established link with jihadists in the UK. Beyond those countries, terrorists potentially could exploit the widespread instability across the Middle East. Islamic radicalization is not taking place on the scale it was, he said. Hard-core salafism and deobandism remain a significant force, but by Brandon’s analysis, many of the key groups that fed Al Qaeda in the past no longer have the reach in the community they once did. “The reason for this is two-fold. First, there is no current-affairs catalyst pushing people from non-violence into violence. Previously, there were issues like Iraq, Afghanistan or the Danish cartoons that would push them over the edge. The catalyst to push them to go the final yard is simply not there today. “Secondly, pro-jihadist voices are a lot subtler than they used to be. They may still be around, but they do not reach the same audience and have to play their cards more carefully,” he said. From the observations of counterterrorism experts and UK government reports, it seems the overall terrorist threat is ongoing, but it’s hard to say whether it is on the wane or on the increase. Instead, they point to the fact that the UK has not faced a successful attack since July 2005, though there have been a number of very near misses. Most expect that this is likely to remain the general trend for the foreseeable future, with a particular spike in attention around the upcoming Olympic Games. An unpredictable element in the mix is the potential threat posed by lone-wolf or lone-actor terrorists. CONTEST specifically singles them out as a “significant” threat, and the potential menace seemed to crystallize in the form of Anders Behring Breivik’s attack on Oslo, Norway. In a methodically planned attack in late July, Breivik pulled the trigger on a plan he had been cogitating for nine years. In the ensuing chaos 69 people were shot to death at a summer camp and another eight killed in a bombing outside government offices during a lone-wolf terrorist attack that has made European security officials reconsider their planning for such threats. As one official put it to Homeland Security Today, the previous focus was on “monitoring groups,” and Breivik showed that such single-minded attention sometimes missed very dangerous elements. The Breivik attack alarmed British security officials because his claims and history seemed to have strong links to Britain’s right-wing community. Born in the UK to a Norwegian diplomat, he signed his manifesto with the English-sounding name Andrew Berwick. He was reported to have attended rallies organized by the English Defense League (EDL) that formed in response to the perceived threat from Islam in the UK. While the EDL denied he was a member, and Breivik criticizes the group as naïve in his manifesto, the incident awakened people’s concerns about the right wing in the UK. As Matthew Feldman, a lecturer at the University of Northampton and a regular prosecution witness in right-wing terror cases, put it in an interview with Homeland Security Today, this nexus of lone-wolf terrorism and the right wing was particularly concerning. “I think there is an important connection between individually undertaken acts of terrorism and links to the wider culture of intolerance on the far-right,” said Feldman. He added that understanding how lone wolves draw upon a “wider culture of intolerance” will be key to ensuring such acts do not take place elsewhere in Europe. The overall message from the most recent raft of reports is that the menace of international terrorism to the United Kingdom is decreasing. There has not been attack planning on the scale seen previously. At the same time a constant patter of smaller-scale terrorist threats continues to plague the UK. Irish dissidents continue to battle on, and right-wing extremists may be emboldened by the actions of Anders Behring Breivik in Oslo. And while the August chaos shook Britons, it remains unclear whether it was anything more than a temporary eruption. The hard-line response and the speed with which political leaders on all sides used the situation to bolster their own causes did not shed any further light on what drove the chaos. While the loss of control alarmed British security officials as they prepare London for next year’s Olympics, the fact they are getting to learn the lessons a year out should mean they are better prepared for domestic threats while maintaining vigilance to foreign dangers. The jihadist threat from the Internet continues to remain complex, acting as both a radicalizing agent but also providing terrorists with operational support beyond simply instructions on how to make bombs. In a speech to a London think tank, Home Secretary May highlighted how groups were using tools like Google Earth, Google Street View, cloud computing and peer-to-peer networks to plot terrorist attacks. She particularly highlighted AQAP’s use of online parcel tracking to time where the devices the group planted on DHL transport planes last October were intended to explode. The biggest menace to online counterterrorism capacity identified by CONTEST was the loss of individual operatives and experts to the private sector. Commenting to the ISC, Ian Lobhain, head of Britain’s Government Communications Head Quarters—Britain’s equivalent of the US National Security Agency—pointed out his biggest problem was losing staff because he was simply not able to compete with the private sector’s salaries. While recent reports on the terrorist threat to the UK do address right-wing terrorism—albeit to a lesser degree than some experts like Feldman would advise—the focus remains on Islamist radicalization. The reports highlight a number of current problems in Britain’s counterterrorism strategy, with much of the focus on its “prevent” component. The key element of discussion is the fact that “prevent’s” current broad scope has both diluted it and confused things by supporting non-violent extremists in the hope that they might be able to rein in the violent fringe.